BREAKING: James Mangold to Write and Direct Boba Fett Movie! 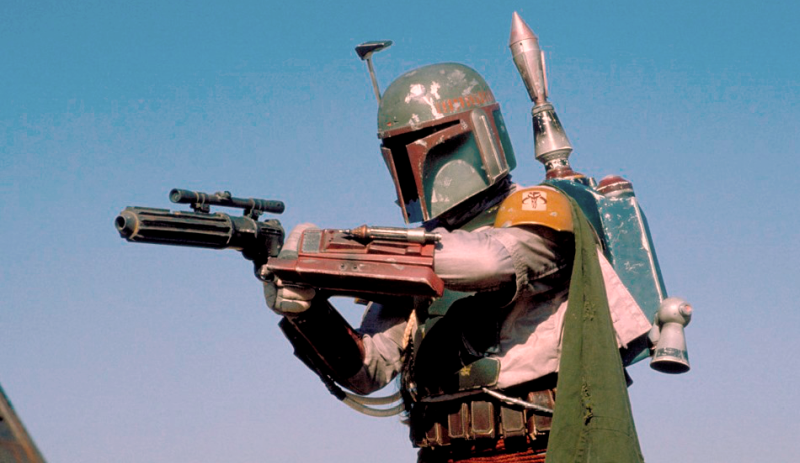 James Mangold to write and direct Boba Fett movie! The Hollywood Reporter brings word that Logan director James Mangold will write and direct a standalone Boba Fett movie for Lucasfilm. The film will follow in the footsteps of Rogue One and Solo as standalone “Star Wars Stories,” anthology movies from the galaxy far, far away. A bounty hunter, Boba Fett made his debut in Star Wars: Episode V: The Empire Strikes Back originally (before “The Special Edition” of A New Hope gave him an earlier appearance) as one of the bounty hunters hired by the Empire to find the Millennium Falcon. Fett succeeded in his mission and took Han Solo back to Jabba’s Palace, where he would meet an untimely end in the Sarlac Pitt. Some say he’s still being digested to this day. The character also appeared as a young boy in Star Wars: Episode II, where it was revealed that his classic look and ship came from his father Jango Fett, who was also the basis for the titular Clone army. The character has long been a fan favorite. Mangold’s other credits include The Wolverine, his first forray into the X-Men, as well as the Academy Award winning biopic of Johnny Cash, Walk the Line, and the remake of the western film 3:10 to Yuma. Previously it was reported that Chronicle director Josh Trank and X-Men: Days of Future Past writer/producer Simon Kinberg were working on a Fett movie, but that project fell apart due to a number of factors. Lucasfilm is reportedly developing a number of standalone movies to expand the Star Wars universe on the big screen including an Obi-Wan Kenobi film with director Stephen Daldry and rumors that they’re interested in a Yoda solo movie as well.